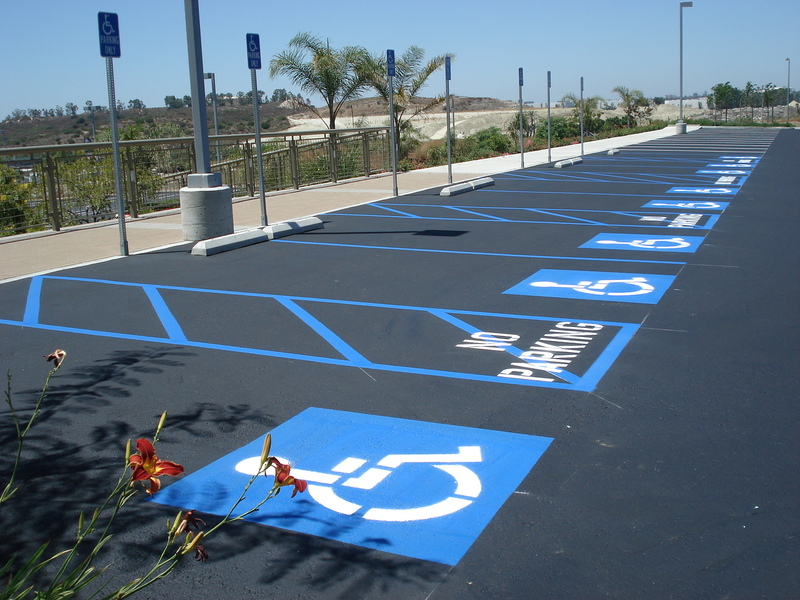 LinePro Striping is Nashville’s trusted source for precision parking lot striping, zone marking of parking lots and warehouse floors, as well as ADA markings, such as handicapped parking space indicators, and hazard notifications. We use a variety of coating technologies including chlorinated rubber, epoxy, polyureas, thermoplastics, and waterborne co-polymers to guarantee clearly marked areas that will withstand years of environmental and working conditions. Heavy duty coatings are available in white, yellow, red, blue, or any custom color. Lines are applied through a spray application and can measure 4″ to 8″ wide. Linepro Striping offers Nashville and surrounding area businesses, parking lot striping and painting of all existing pavement markings for commercial and industrial parking lots. It is important as a Nashville business or property owner to have clearly visible pavement markings to ensure the safety of anyone driving or parking at your facility or property. We ensure your pavement markings abide by federal laws and standards as well as any Tennessee and Nashville Metro requirements. Linepro Striping will use the proper equipment and layouts to get the most out your parking lot. Our professional Graco striping machines are used to stripe each spot and we snap chalk lines for each and every line. We use the standard stencils and cross hatched lines for handicap parking spots and we use cross hatches to designate no parking areas. Please call or email for a free parking lot striping estimate in Nashville and the surrounding areas.